Some of the most important aspects to consider when choosing a VPN are its security features and the strength of its encryption protocols. If you want your VPN to properly protect your online privacy, then you will need to choose a service with robust security features and strong encryption. The reality is that many VPN providers out there will fail to adequately protect your privacy and are simply not worth your time. It is therefore vitally essential to be mindful of what makes a VPN secure, and what features to look out for in particular when selecting the best VPN provider for your online security needs. A secure VPN will be equipped with all the necessary security tools to help you stay safe and secure while browsing the web. Strong encryption protocols like OpenVPN, IKEv2, and L2TP/IPsec, for example, will ensure that none of your online activity can be deciphered by hackers, government entities, your ISP, or any other third party wanting to snoop on you online. If you’re not sure exactly what else to look for in a secure VPN service, no need to worry, we’ve got you covered. In this article, we will go into detail and explain the critical security features and encryption protocols the most secure VPN services should offer, and we will provide a rundown of the 5 best secure VPNs guaranteed to keep you safe online. What features does a secure VPN need to have? Military-grade encryption protocols – ensure that your online activity remains completely hidden from potential snoopers. DNS leak protection – prevents your personal IP address from being leaked to websites you visit. Kill switch – kills your internet connection in the event of a disconnect from the VPN server, ensuring you are not left fully exposed and unprotected online at any point in time. No logs policy – ensures that your VPN provider doesn’t log or store any of your online activity through its network and therefore cannot provide authorities with information related to that activity. These four features are essential to have for any VPN to be truly considered secure, and you can rest assured that each VPN provider listed in this guide includes these critical security features. Here you will find an in-depth look at our expert picks for the most secure VPN services on the market today. In this section, we highlight what makes each provider an excellent choice for anyone who is serious about securing their personal privacy online. NordVPN offers OpenVPN with AES encryption using a 256-bit key. The RSA session-establishment encryption uses a 2048-bit key. For macOS and iOS users, NordVPN provides IKEv2/IPsec as the default encryption protocol. The NordVPN software also offers a number of useful security features, which include the ability to connect to the Tor network through a VPN server, as well as the option to chain VPNs to enable a double-hop system that incorporates two levels of encryption. This VPN company is based in Panama and it keeps no logs, so it is a good service for torrenters and privacy-conscious users. The app includes a kill switch and CyberSec technology to help automatically block malicious websites and unsolicited ads. Take a look at the NordVPN website for more information about their security features. One downside to PIA – they’re based in the US. This means if they were to be served a warrant, they’d have to comply. This is where their no logs policy comes in handy – they might have to comply, but there’s not much they can offer up. Finally, PIA does offer a 7-day money-back guarantee for unsatisfied users. ExpressVPN consistently finds itself included in most top VPN lists and one of the reasons for this is its top-class commitment to security. This VPN has a very easy-to-use app that basically installs itself, so you don’t have to worry about issues with the installation. On top of that, ExpressVPN has the best customer support team in the industry. They are available around the clock via live chat on the ExpressVPN website. ExpressVPN uses OpenVPN with AES encryption for data and RSA encryption for session establishment. The AES encryption uses a 256-bit key and the RSA encryption uses a 4096-bit key. Basically, this is military-grade encryption, so your communications are safe with ExpressVPN. Your identity can potentially be exposed if lawyers seize the activity logs held on file by a VPN company. Fortunately, ExpressVPN does not keep such logs and the company is based in the British Virgin Islands, which is difficult for copyright lawyers to reach. Add onto these factors automatic WiFi protection and a kill switch – plus a private DNS system – and you can see why ExpressVPN is so well regarded as a solid choice for security-minded VPN users. Additionally, CyberGhost provides superb speeds on most servers, a kill switch, P2P permitted on select servers, Bitcoin payment options, and free browser add-ons. If you’re still iffy on trying CyberGhost, you can always take advantage of its 14-day money back guarantee on monthly plans or a generous 45-day money-back guarantee on plans longer than 6 months. Check out the CyberGhost website for more information about it’s security features. VPNArea offers very strong encryption. The app provides IKEv2 as well as OpenVPN and uses AES with a 256-bit key for data. The RSA encryption for the control channel employs a 4096-bit key, which makes this one of the most secure VPNs in the business and accounts for the company’s success in China. VPNArea is headquartered in Switzerland and keeps no logs. The company allows customers to use its network for P2P downloads and has servers specifically optimized for torrenting. There are also servers that are optimized to get through the regional restrictions and VPN detections systems at video streaming sites. Extra security features include a kill switch and an automatic IP changer, which will alter the masking IP address allocated to you periodically. Take a look at VPNAreas website for more information. Here, we will go through and provide answers to a few of the most common questions people have regarding secure VPNs and the security features essential to them. Why are some VPNs more secure than others? Many VPN providers will simply not offer the same security tools or strength of encryption that the most secure VPN providers offer. Any VPN provider that can genuinely call itself secure and that genuinely cares about its customers’ privacy will include key features like DNS leak protection and a kill switch, and will offer military-grade encryption protocols. Some VPN providers may not have the resources or the inclination to support some of these vital security features, and as such their product offering will be inherently less secure. Some VPNs will be more secure than others if they are able to offer the best of the best in terms of the encryption protocols they use and the security features they offer. 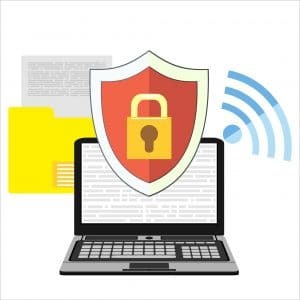 When you connect to a VPN server, your VPN software will establish a secure, encrypted connection between your computer and the VPN server. The VPN protocol is effectively what makes this connection happen using a set of authentication and encryption algorithms. Not all VPN protocols are created equal, however, and some have proven to be far more secure than others. OpenVPN – our recommended VPN protocol for security and performance. OpenVPN is widely regarded by experts as the most secure and flexible VPN protocol available. This protocol is open-source, fast, and extremely secure. OpenVPN is the gold standard as far as VPN protocols are concerned. IKEv2 – another exceptionally secure VPN protocol. IKEv2 is well-regarded for both its security as well as its phenomenal speeds. This protocol is also incredibly stable and has the ability to re-establish a broken connection. L2TP/IPsec – a widely-used and secure VPN protocol. L2TP/IPsec is generally considered secure, due in part to the fact that it encrypts your data twice, but has been rumored (unconfirmed) to be compromised by the NSA. Although it is certainly a secure VPN protocol, and it is highly compatible with many devices, we would recommend going with OpenVPN or IKEv2 whenever possible. Another popular VPN protocol that some VPNs still employ is PPTP. This protocol, however, has been proven to be a security liability, and we, therefore, do not recommend using it under any circumstances. The most important aspect in determining the level of security a VPN offers is to assess the level of encryption employed. Here, we will take a look at what the best possible encryption settings are for our recommended VPN protocol, OpenVPN. Cipher – the mathematical algorithm that encrypts your data. AES-256 bit encryption is the industry standard. Control Hash Authentication – the means by which your data is validated and your connection to the correct VPN server is ensured. HMAC SHA-3 is the most secure. Handshake – allows the VPN server and your device to establish a secure connection. An RSA-4096 handshake is considered most secure. Forward Secrecy – ensures that a fresh encryption key is generated for each new connection. The most secure setting is DHE-4096. If the VPN you are using is leaking your true IP address to the websites you visit, then your VPN cannot be considered secure. It is therefore vitally important that your VPN provider offers DNS leak protection to prevent your true IP address from being leaked and leaving you exposed online. Fortunately, there are simple online tools that can help you detect whether your VPN is leaking your IP address; IPleak and DNS leak test are both very effective in detecting IP leaks. Obfuscated/stealth servers – servers that can bypass certain firewall restrictions. These types of servers are offered by some VPN providers as an effective way to evade government internet censorship tactics in countries like China which employ strict control over online content. Double VPN technology – a feature that encrypts your connection twice. Some VPN providers offer connections that get encrypt your data through two separate VPN servers. While this effectively doubles your security, it can slow your connection further due to the extra layer of encryption. Malicious website detection/blocking technology – a tool that will automatically prevent you from connecting to a website that appears suspicious. By blocking suspicious websites, this feature can help prevent you from inadvertently exposing your device to malware or other potential online security risks. Shared IP addresses – multiple users connected to the same VPN server share the same IP address. Shared IP addresses are vital to your online security when using a VPN because if you share the same IP address with hundreds or even thousands of other users, then it becomes virtually impossible to pinpoint any specific user to any specific activity on the network. Onion over VPN technology – enables the ability to connect to the Tor network through your VPN connection. This feature is for users who require ultimate security and anonymity as it combines the privacy benefits of using a VPN with the truly anonymous nature of the Tor network. Can I get a secure VPN app? Each VPN service listed in this article offers its users mobile VPN applications, so you can stay safe and secure even when you are on the go. The same security features and encryption protocols present on the desktop apps are the same protections you can enjoy on your mobile devices. Therefore, you can absolutely rest assured that you can get a secure VPN app and it will afford you the same level of protection as with your desktop VPN software. Now that you know what makes a VPN secure and what kinds of things to keep in mind when looking for a secure VPN, you can feel comfortable making an informed decision regarding which of the providers listed in this article will work best for your particular online security needs. We have thoroughly tested each of these providers and can vouch for each of them as being highly effective in keeping you secure while browsing the web. You really cannot go wrong with any of the options outlined in this article. So go ahead and get started, and stay safe!